Carlton Ware Preserve Pot. preserve pot with lid. In good used condition. Pair of Carlton Ware Blue Lustre Vases. Excellent condition. FOR SALE A CARLTON WARE HAND CRAFT "FLOWERING PAPYRUS " VASE. STUNNING VASE. Z O O O OM……… . Carlton Ware Bleu Royale Vase. multi coloured willow, blossom and fir trees on a blue royale ground. The vase is embellished with heavy gilt detailing and banding. is crazed. FOR SALE A CARLTON WARE "NEW STORKS" ASHTRAY. Size 23cm wide x 10cm hi. Both are chip and hairline free, excellent condition with no restoration. Size15cm high x 9cm at the top rim . See photos for the condition. Wiltshaw & Robinson early Carlton ware blue crinoline lady preserve pot with lid & tray. Carlton Ware Preserve Pot. 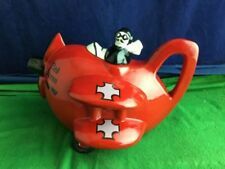 Carlton Ware Teapot Blue Max Design, A collectable novelty teapot in the shape of a bi-plane. Hand Made and Hand Decorated in Stoke on Trent Staffordshire. It is in good condition with no chips cracks or repairs. Length 21cm Height 15cm. FOR SALE A CARLTON WARE "FLORIBUNDA " " 25 CM VASE. Lovely Vintage Art Deco Hand Painted . Used. From smoke/pet free house Thank you for watching. Enjoying your bidding. Marked CARLTON WARE Script Mark in Gold. Fruit design (all Four sides)on a Blue Background. I will then confirm actual cost. Carriage to other countries. I would be happy to quote for sending to these areas. 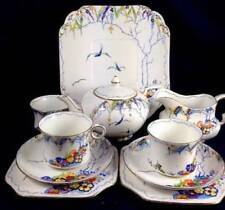 This set is missing 1 cup and consequently has a spare saucer. The remainder of the set is in very good condition. FOR SALE A CARLTON WARE PRICKLY PANSY 11.5 CM VASE. GILDING GOOD. LIGHT MICRO CRAZING, STUNNING VASE. Z O O O OM……… . Approximate size : 8.5" x 7.5". Large Chinoiserie Mikado. Stunning bowl in the Mikado pattern. Backstamp for Wiltshaw and Robinson Carlton Wear, dating between 1896 and 1906. Antique Carlton Wear Bowl. Beautiful Sky Blue Sauce Pot with Lid and Base in a Gilded Leaf Pattern; Could also be used as a Jam or Preserve Pot. Bases have Carlton Ware Australian Design backstamp. pot--10 x 7.5 cms. Has crazing and have just noticed under magnifying glass a miniscule nibble to Base Leaf Rim. It has lovely clean and vibrant collours. A nice item to add to an existing Carlton Ware collection or just to start collecting. 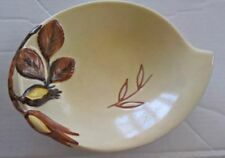 The Pedistal Bowl is in good condition with out any cracks, or any repairs or any signs of ware to the decoration and would be an excellent addition to any Carlton Ware Collection It has a small chip on the base rim.as shown in photo supplied. For sale Lancastrian shape 181, 22 cm vase by E T Radford and painted by Gwladys M Rodgers. cracks or restoration, in grey and turquoise blue, minor production marks and light crazing. SUPER VASE. Antique Art Deco 1920s Wiltshaw & Robinson Carlton Ware 5"/12cm Tall Porcelain Bonbon dish. Leslie Green, who had previously worked as a chauffeur for the family, was convicted of the murder and hanged at Winson Green Prison on 23 December 1952 by Albert Pierrepoint. Gloss finish. Signed Carlton Ware, No.2213. They are marked with the Carlton Ware, Made in England (Gold Script). You will NOT be disappointed. They are pre-owned item and are being sold as is, as shown or as described. An antique Carlton Ware flower frog / stem holder, suitable for bowl or vase. Made by Wiltshaw & Robinson Ltd and dating to the late nineteenth - early twentieth century, finished in a blue lustre glaze. Vintage 1950s Carlton Ware Australian Design Magnolia Sugar/Jam Pot Blue. Dispatched with Royal Mail 2nd Class. This lovely gloss finish “Airman” was made by Carlton Ware. This is from the Carlton Kids series from Carlton Ware. Fully marked 'Carlton Ware' on the base. It is in excellent condition. SAILOR - limited edition No 414 of 5000. IT IS IN VERY GOOD CONDITION EXCEPT FOR A SMALL CHIP ON THE RIM. 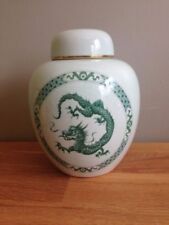 THIS LOVELY PIECE FROM THE CARLTON WARE FACTORY NOW CLOSED IS A COLLECTORS ITEM _UNUSED. CARLTONWARE BLEU ROYALE DECORATIVE PLAQUE NO 4907 WATTEAU DESIGN 4 1/2"
THIS LOVELY PLAQUE IS ONE OF A SET FROM THE GREAT CARLTON FACTORY NOW CLOSED. “ Rare Carlton Ware Dark Blue Toast Rack mold number 2812 ”. Carlton Ware Covered Sauce or Preserve Pot. The lidded pot is approx 3 1/2" tall and the saucer is 5 1/2" long/. Stylised leaf pattern on all three pieces. Maker – The base is stamped in black with crown roundel and bird W&R Stoke on Trent Carlton Ware Made in England, the mark used 1920-26.